Our Mama Bird Necklace brings the feeling of nature's sweetest mama to you life no matter the season. Our Mama Bird pendant is hand-sculpted in clay and then cast in sterling silver with a gorgeous three dimensional quality. 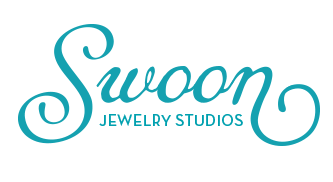 Exclusively made by Swoon Jewelry Studios for the Hot Mama Collection. Looking for a little bird for your little miss? Click here to view our Little Bird Necklace.